Our kitchen is overflowing with watermelon, strawberries, and blueberries. We’ve had a pretty hot week, and yesterday while I was at the grocery store I considered for a moment buying a box of popsicles for the kids, but then I thought – why can’t I make my own popsicles with real ingredients that I want my kids (and myself!) eating? 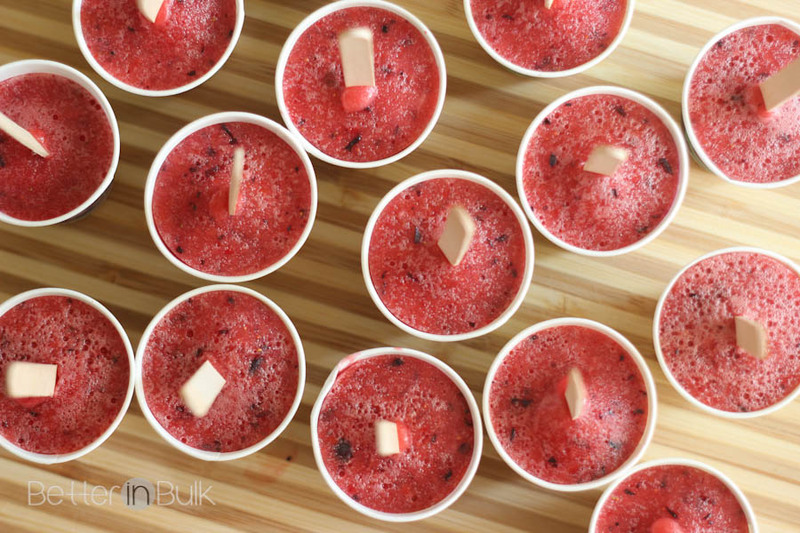 Place watermelon cubes in blender and blend for a few seconds (it doesn't take much for watermelon to be pureed). 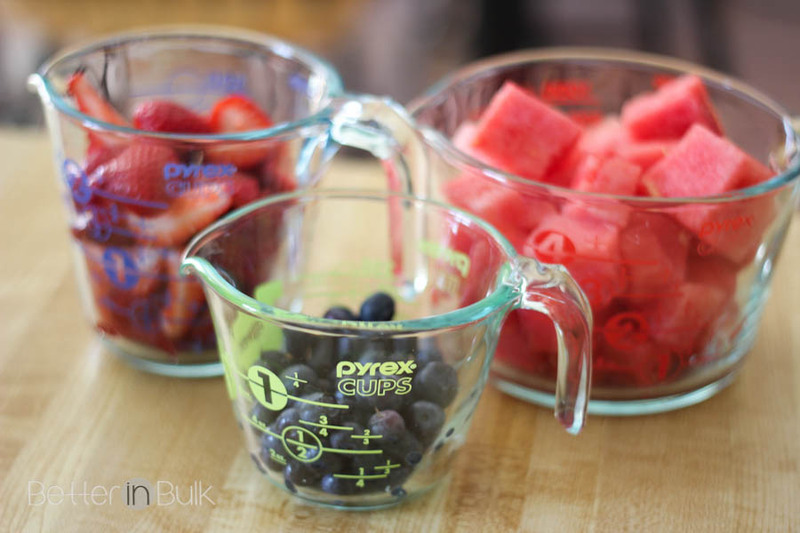 Add strawberries, blueberries, and lime juice and blend until large pieces of fruit have been pureed. Test a small spoonful - Add additional berries or sugar if needed for taste. Pour into 3 ounce paper cups and place in freezer for 30 minutes to an hour (I recommend placing the cups on a tray to make them easier to take in and out, and to ensure that they don't tip). After the popsicles have had a chance to harden (but not solidify completely), place a popsicle stick in the middle of each cup. Return to freezer and chill until frozen through. To eat, simply tear the paper cup away from the popsicle and enjoy! You can switch up the fruits that you use in these popsicles – add a higher proportion of strawberries or add a kiwi or some raspberries for a different flavor. The possibilities are endless! 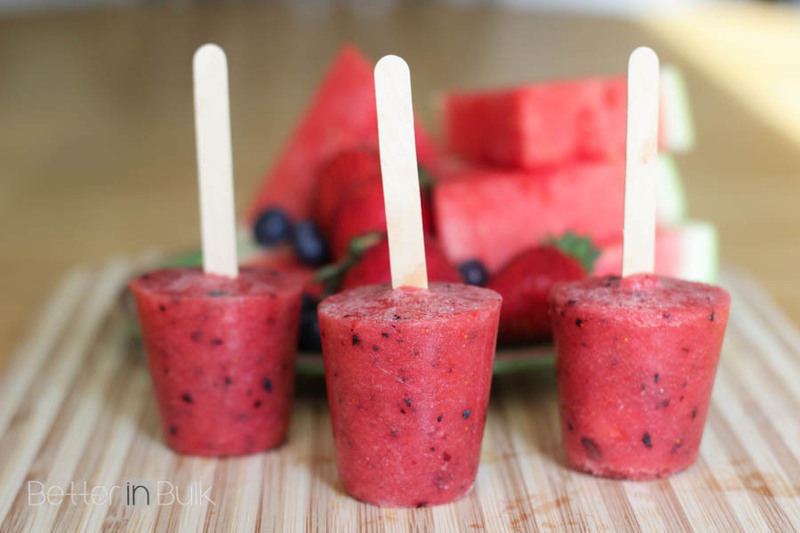 I love the lightness (and the flavor) of watermelon and so these will be perfect for a light popsicle snack on hot days. A note about the optional sugar: usually fruit is plenty sweet enough for my taste, but since ripeness and flavor varies significantly, you might need to add a little bit of sugar. Taste your pureed fruit first before adding any sugar. You probably don’t need any. Additional tips: to make a watermelon berry slushy drink, freeze fruit before blending OR add a handful or two of ice cubes to the blender. 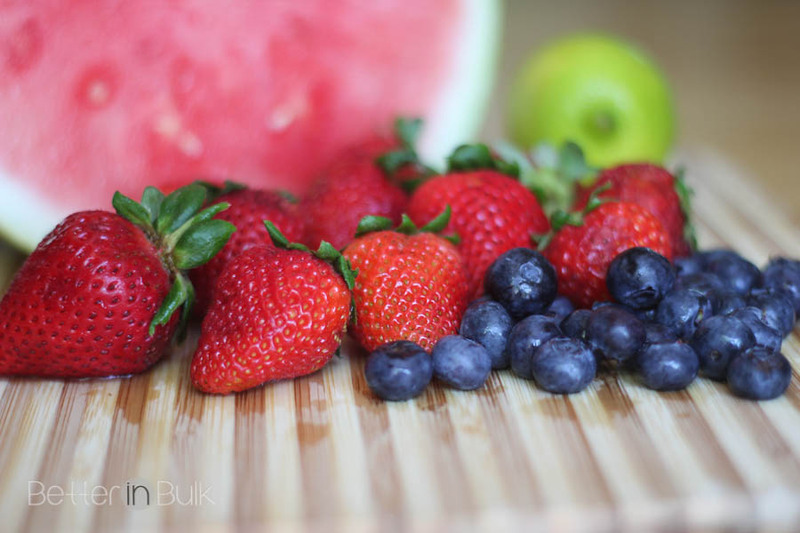 I think I’ll be coming up with more fruit combinations throughout the summer, taking advantage of the fruit that’s in season and making it easy to enjoy a healthy serving of fruit everyday! Can’t wait to try these! Pinned ? This recipe looks yummy. I’m going to feature this in my Easy Ideas to Cook with Kids this Summer on Sunday at 6pm pst at Merry Monday! Hope to see you at the party! 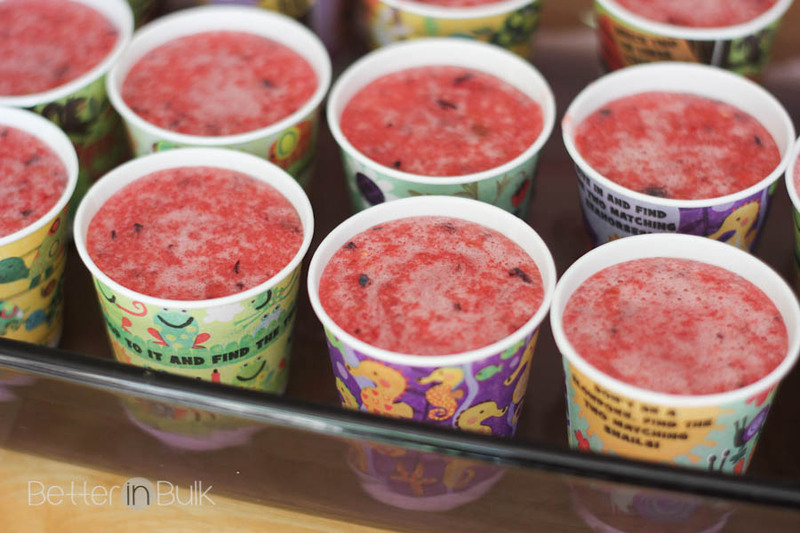 This is a great way for my kids to enjoy watermelon and keep cool during the summer. Thanks for sharing your recipe on Merry Monday. Pinned and will be including this in a watermelon round-up. Yum! I bet your kids loved these. I know my kids would. Stopping by from the Busy Monday Link Party! The watermelon berry popsices are much better then store bought! Awesome idea! This look so delicious and fun to make. 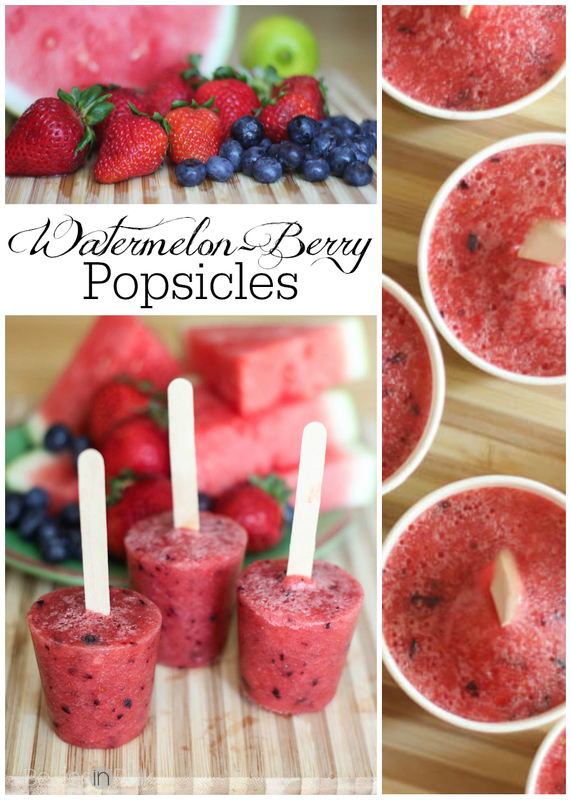 I will have to make these Watermelon Berry Popsicles because watermelon is cheap right now! I bet they taste awesome! These look so refreshing and delicious. Thank you for linking up at The Creative Exchange. This is perfect for summer! Thanks for linking up with What’s Cookin’ Wednesday! So yummy and refreshing for a pool side snack! These are in season, too, making them an inexpensive, healthy summer snack! I found your post at Inspire Me Monday! You have no idea how much I want one of these now! 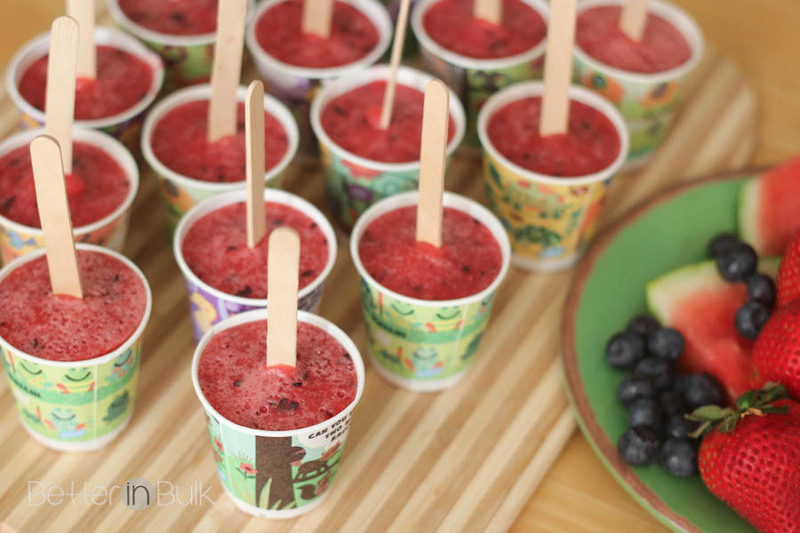 These popsicles look so refreshing and yummy! It’s still rather nippy where I live so it will still be a while before I can make them for a hot day! I have a link party that I am trying to grow. Because I think that my readers would absolutely love your recipe, I invite you to link it (and other links) at my Grandma Ideas Sharing Time at http://grandmaideas.com. I can’t wait to try out your recipe!!! With it being hot outside my children are all about wanting a popsicle but I hate giving them the junk!! That sounds just like us! It’s been a hot May (with just a few cool days mixed in) and I’d much rather have them eating real fruit! My kids would love these (and me too)! What a fun thing to make that the kids can help with too. I’ll be featuring your post on the next Brag About It link party which starts Monday at Midnight. Hope we’ll see you there! Thanks for the feature! I appreciate it. :) I hope you and your kids love the popsicles! Sounds like a perfect plan! :) I’m eager to try some new varieties…because it has been so hot! I just thought it was time to pull the popsicle maker out again. Maybe I’ll use this recipe to break it in for the season! This looks absolutely delicious! Pinning it to Yummy Recipe board! We just made our first popsicles this past weekend. Pinning this for next time!